We have been creating and sending out newsletters for many years, but regrettably we have decided to call a halt, because of the imposition by the European Union of the new General Data Protection Regulation, which places a heavy burden on small businesses and the self-employed. 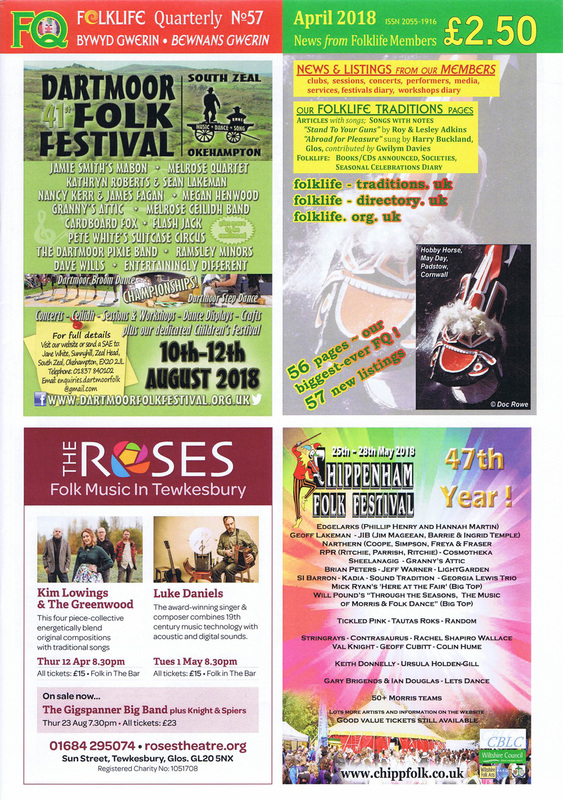 All our newsletters are here on this, so please browse through them. We will put any news on the ‘Latest News’ page, while talks and interviews will be listed on the ‘Events’ page. On our blog, we will also add anything historical and archaeological that we fancy writing about. Before heated irons, laundry and cloth were smoothed with a wooden roller and flat board without any form of heating or by rubbing with glass linen smoothers, polished stones or even hard wood. Solid irons that were heated in front of fires began to be used in Europe from the 17th century (the technique was employed much earlier in China). 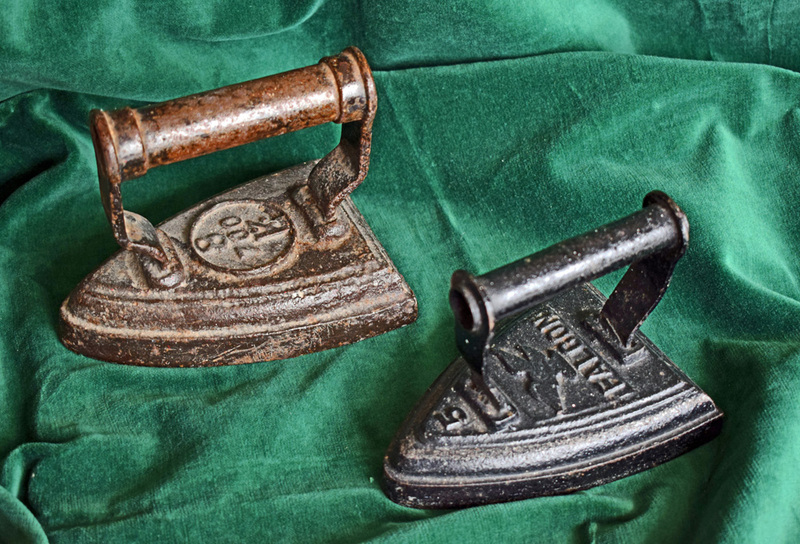 They were known as sad irons, ‘sad’ being an old English word for ‘solid’, though the term ‘flat iron’ became more common. Another type of iron was the box iron that had a hollow body with a hinged lid or sliding door at the back. Heated iron blocks were placed inside, or else charcoal or glowing embers from the fire that were kept alight by ventilation holes in the sides of the box. By the 19th century, flat irons were the most popular implement for smoothing cloth. Various sizes and weights of flat iron were produced for different types of cloth and garments. A flat iron lost its heat quite quickly, and households therefore needed at least two irons, so that one was always being heated. Specialised stoves for heating irons tended to be the preserve of large houses with laundry rooms. A hot fire was needed to heat an iron, which was not a problem when households kept a fire alight all year round for cooking and heating water. Irons were placed on a trivet attached to the firebars of the grate or the kitchen range, and they could also be placed on the hot plate over the range fire. Care was needed to prevent smoke-blackening or soot that could make the laundry dirty. It was also essential to thoroughly clean an iron and polish its smooth face. When gas stoves began to replace coal fires for cooking, these were used instead for heating irons. One further problem was regulating the heat of flat irons. If they were not hot enough, it was difficult to smooth the cloth easily, but irons that were too hot would cause scorch marks. It took experience to judge when an iron was at the right temperature, and one common test was to spit on the face of the iron and see if it sizzled and dried. Most ironing was carried out on a kitchen table that was covered by a thick cloth or blanket, though smaller tables designed for ironing were bought for laundries in large houses. From the 1860s, space-saving ironing boards with folding legs appeared, but lack of money and space meant that poorer households continued to use a kitchen table or a board balanced between the tops of two chairs. What seems surprising is that flat irons and kitchen tables were commonly used in Britain up to the Second World War. 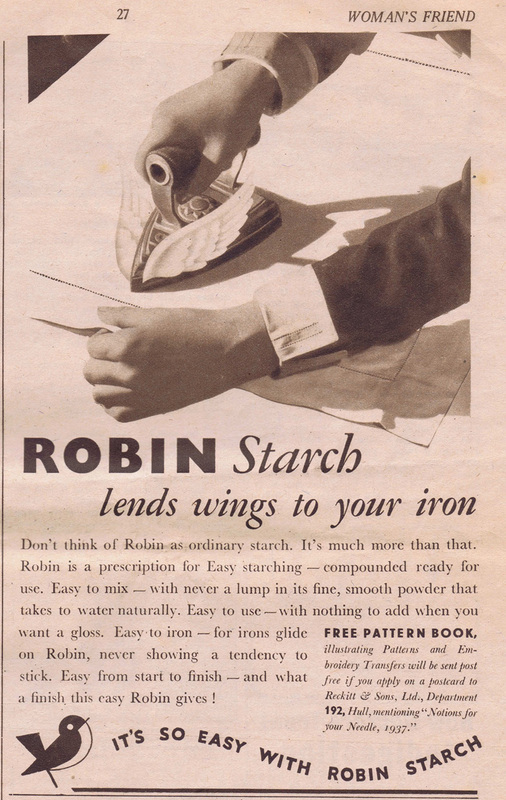 This advert from a 1937 edition of the magazine Woman’s Friend extols the virtues of Robin starch in improving the process of ironing, with a picture of a flat iron (with added wings) on a table: ‘Easy to iron – for irons glide on Robin, never showing a tendency to stick’. The open area round the cathedral at Exeter in Devon is called the Cathedral Close, once the heart of the city. In medieval times it contained streets of houses, the burial ground for the entire city and even churches and chapels. Those living there were closely connected with the church, while the open space was used for recreation by all and sundry, rubbish was dumped, bonfires lit, animals roamed, and games played amidst the grave markers. The Close was not a tranquil place, but a frontier zone between the cathedral and the city. In the late 13th century, relations between the cathedral and the city were especially bad. In what appears to have been a flawed election, John Pycot became dean of the cathedral, and so Peter Quinil, the bishop, tried to oust him. Pycot was an Exeter man whose supporters included the mayor, and they singled out Walter de Lechlade as their main opponent on the bishop’s side. As the precentor of the cathedral, Lechlade’s job was to organise the cathedral’s services, but on the night of 10th November 1283, he was murdered in the Cathedral Close. John de Lechlade, a relative, brought a legal case against Pycot, the mayor and 19 others, laity and clergy, but the case dragged on until December 1285, when King Edward I and his court came to Exeter. The king’s judges conducted the trial in the king’s presence, and five laymen were found guilty, including the mayor. They were immediately executed, but the guilty clergymen were handed over to the bishop. He allowed Pycot to retire to a monastery after removing him as dean. The actual perpetrators of the murder probably evaded justice. In January 1286, as soon as the trial was over, the king gave permission for a high wall to be built around the Close, with seven gateways that were to be shut at night to protect the clergy. The wall was built to fill the gaps between existing buildings, while any rear entrances that backed on to the Close had to be blocked. 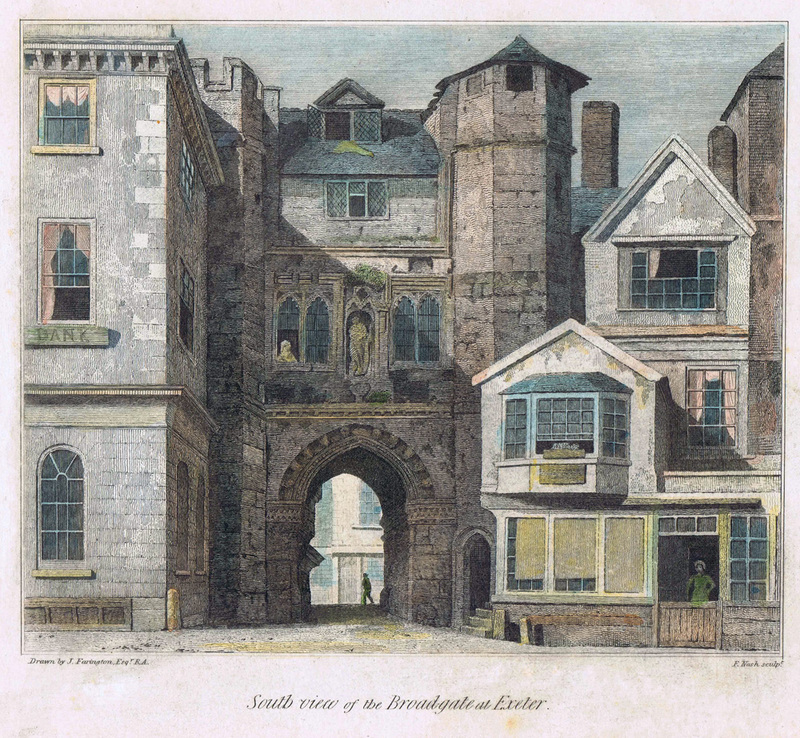 The main gate was Broadgate, on the direct route between the Guildhall and west front of the cathedral. This was (and still is) the main entrance to the Close for visiting royalty and other dignitaries, and the route for processions. With the gates shut at night, the Close became a secure enclosure, and this situation continued to the early 19th century. Some five centuries later, the gates of the Close were demolished, being too much of an obstruction. 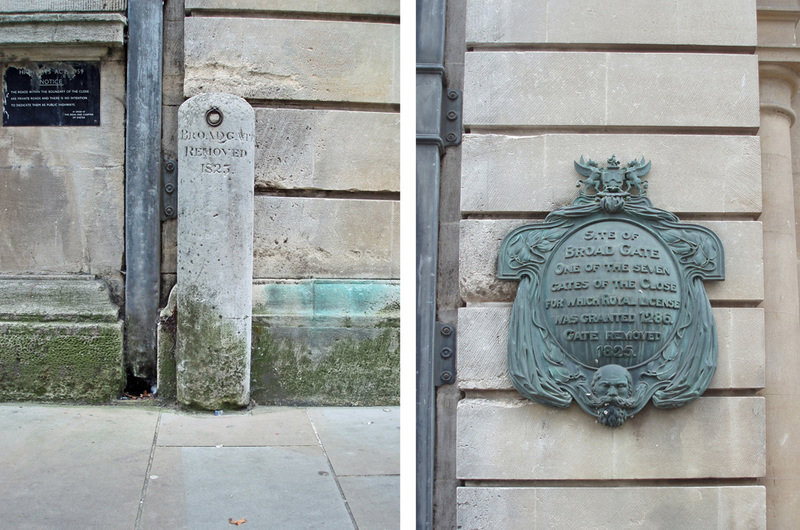 Broadgate was the last one to be taken down, in 1825, and in 1826 it was decided to mark each gateway with a pair of stone pillars. Because the Dean and Chapter of the cathedral still had the right to prevent traffic from entering the Close, each pillar had an iron ring, enabling a chain to be stretched across. It became traditional to close each thoroughfare on Midsummer’s Day, a custom that lasted until 1928. The whole area has completely changed. 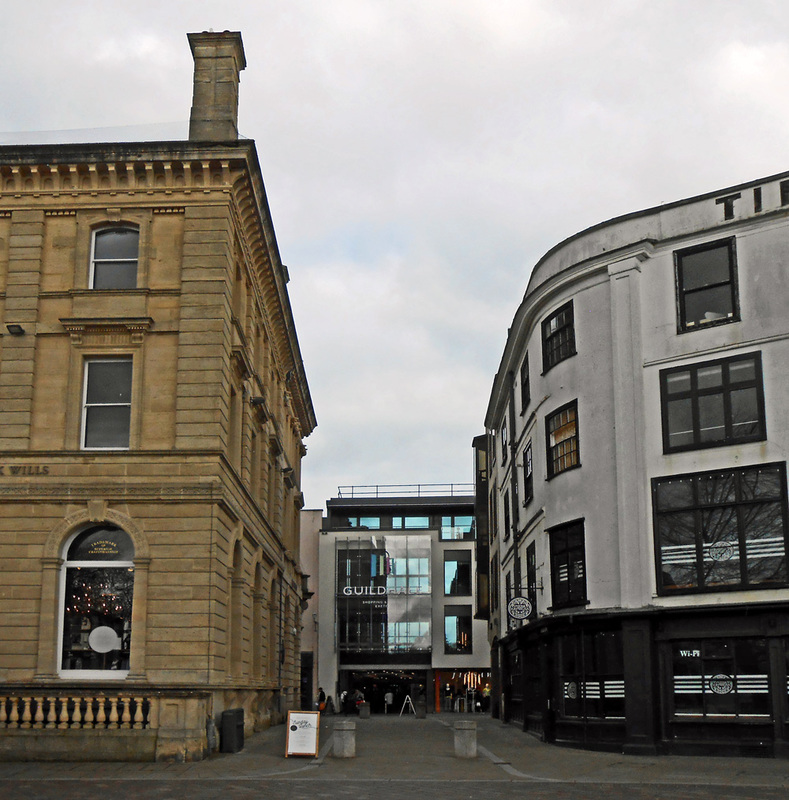 Although the Close escaped Exeter’s bombing in World War Two, it did not escape subsequent redevelopment. There is no visible trace of the wall that protected the Close, and Broadgate is now a pedestrianised way between shops. The cemetery in front of the cathedral has been cleared, and the area is used as a small green park by the people of Exeter, as well as for a Christmas market and similar functions. Beneath the green is a Roman bath-house, but that’s another story. 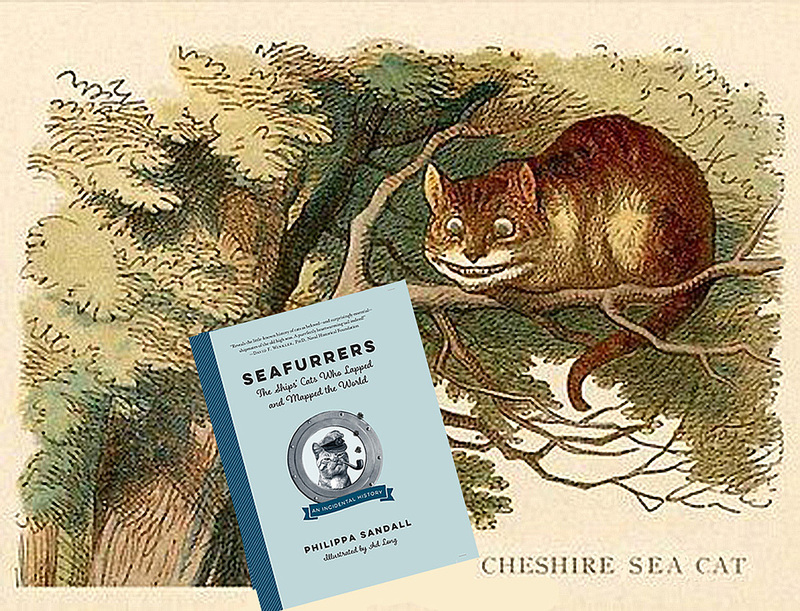 We have mentioned the highly entertaining Seafurrers blog before, seafurrers.com, which Bart the Cat maintains, telling tales about his ancestors. He has now gone into print, with a delightful book called Seafurrers: The Ships’ Cats Who Lapped and Mapped the World by Philippa Sandall, illustrated by Ad Long. It’s published in hardback by The Experiment in New York (ISBN 978-1615194377) and by Affirm Press in Australia and New Zealand (ISBN 978-1925712155) and contains a wealth of feline and maritime trivia. There was a great review of our Gibraltar book in the April 2018 issue of South West Soundings, which is the newsletter of the South West Maritime History Society, published three times a year. This is a key maritime history society, with members far and wide, covering all things maritime in south-west England, from the Scilly Isles to Plymouth Dockyard, Lyme Regis and the port of Bristol, along with a stretch of the English Channel. The society is looking for active and inactive members, so take a look at their website. 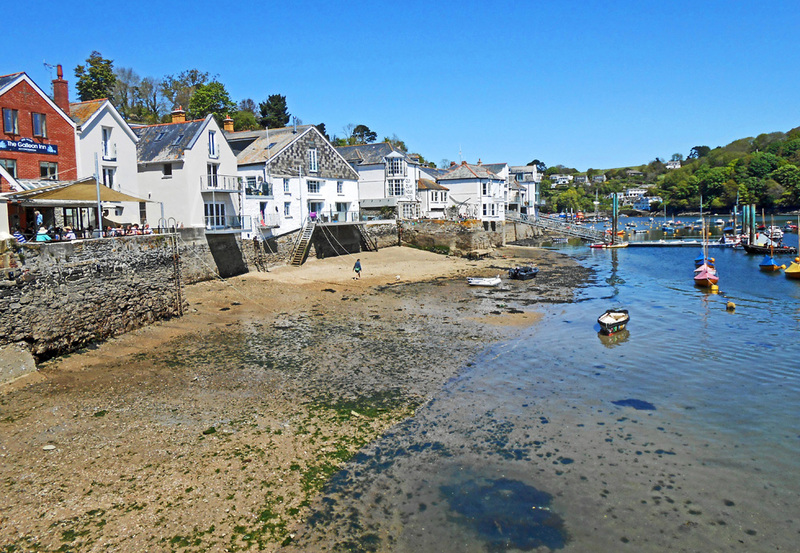 In mid-May, we gave a talk in Cornwall at the Fowey Festival of Arts and Literature. It was a delight to return to this festival in the lovely riverside town – and what beautiful weather. Wednesday 10am, 19th September 2018. This year is the 10th anniversary of the Budleigh Salterton Literary Festival, which runs from 19th to 23rd September. This lovely seaside town is situated in an area of Outstanding Natural Beauty on East Devon’s Jurassic Coast. Monday 1st October 2018, 4.30pm. (please note change of date and time) We are also pleased to be returning to the Henley Literary Festival, which is from 28th September to 7th October. Henley-on-Thames is famous both for its rowing regatta on the River Thames and the literary festival. In the spring issue of Quarterdeck, we have a feature on what to see as a visitor to Gibraltar, especially from the Age of Sail. It’s well worth downloading this free online magazine here. 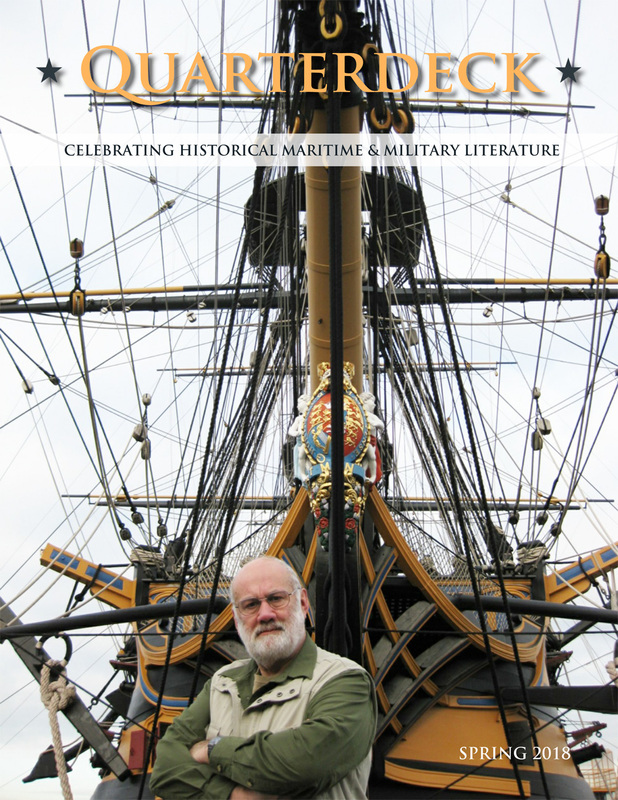 It celebrates maritime and military literature and is distributed by McBooks Press. Our article is on pages 18 to 22. In Folklife Quarterly 57 for April 2018 we have an article called ‘Stand to Your Guns’, a song that first appeared in the comic opera ‘The Milesian’ in 1777 and often sung today as ‘Stand by Your Guns’. The command ‘stand to your guns’ was actually a naval order, and our article describes the song and how cannons were fired in naval battles. We were interviewed about our book Gibraltar on the Eric Metaxas show on 6th April, and you can hear the interview here. Push the slider to about 39.43, as that’s where it starts. Eric Metaxas is himself a bestselling author, and his show focuses on religious books, so we were looking forward to discussing religion during the siege. Unfortunately the sound engineer had problems, so that instead of being a 40 minute interview, it was cut after 10 minutes. If you can’t bear to listen to the poor sound quality, then just heed Eric’s final words – ‘grab a copy’! This reviewer was very generous, though he felt Britain in World War Two was actually ‘the greatest siege in British history’, something that most Britons don’t regard as a siege. He also thought that Gibraltar’s governor, George Augustus Eliott, was rather like Winston Churchill. We would go even further and say that Eliott was better than Churchill! Our earlier books are mainly reference books, and most are still in print. They include The Handbook of British Archaeology, Archaeological Illustration, Handbook to Life in Ancient Rome, Handbook to Life in Ancient Greece and Dictionary of Roman Religion. We also wrote A Field Guide to Somerset Archaeology, for those visiting the county, and three highly illustrated books on archaeology – An Introduction to Archaeology, Abandoned Places and Introduction to the Romans. The Keys of Egypt: the Race to Read the Hieroglyphs (in the US, it is The Keys of Egypt: the Race to Crack the Hieroglyph Code). This gave rise to The Little Book of Egyptian Hieroglyphs, which is really a little reference book. Empires of the Plain: Henry Rawlinson and the Lost Languages of Babylon. Trafalgar: The Biography of a Battle (in the US, it is Nelson’s Trafalgar: the Battle that Changed the World). The War for All the Oceans: from Nelson at the Nile to Napoleon at Waterloo. Jack Tar: Life in Nelson’s Navy (the paperback is Jack Tar: The extraordinary lives of ordinary seamen in Nelson’s navy – though most people prefer to use the hardback title). Gibraltar: The Greatest Siege in British History. The following books are also available as e-books: The Handbook of British Archaeology, Empires of the Plain, Trafalgar (and also Nelson’s Trafalgar in the US), The War for All the Oceans, Jack Tar, Eavesdropping on Jane Austen’s England and Gibraltar. The War for All the Oceans is available in the US as a full-length CD narrated by Patrick Lawlor. Gibraltar is narrated by John Telfer as a downloadable audiobook. Introduction to the Romans – Spanish, German and French. Handbook to Life in Ancient Rome – Chinese, Russian and Czech (with rumours of a Japanese edition). Handbook to Life in Ancient Greece – Chinese, Russian and Czech. The Keys of Egypt – Dutch, Spanish, Italian, Swedish, Norwegian, Taiwan, Japanese, Chinese, German, Korean. The Little Book of Egyptian Hieroglyphs – Dutch, Swedish, Finnish. Empires of the Plain – Polish, Bulgarian. Trafalgar – Japanese, Swedish, Spanish, Portuguese. The War for All the Oceans – Polish. Eavesdropping on Jane Austen’s England – forthcoming in Chinese. Thank you for supporting our work over the years. Do keep in touch – and continue reading and commenting on our books! We may have ended these newsletters, but we are still writing books. We also look forward to meeting you at talks.